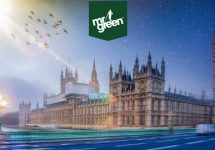 Mr. Green – Win a VIP Trip to Dublin! Play on selected games for your ticket to Dublin! Go to the Irish capital for St. Patrick’s Day! 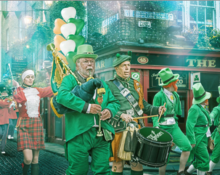 When the long and cold winter nights transform into spring magic, the Irish and the Irish-at-heart, come together to celebrate all things green – St Patrick’s Day. 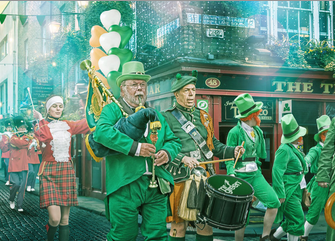 What originally began as a remembrance for the patron saint of Ireland, has turned into a world-wide festival celebrating Irish culture with parades, dancing and a whole lot of green. 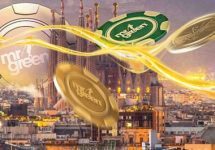 One lucky player will embark on an all-inclusive 3N4D adventure to Dublin, Ireland, plus a further 99 winners will fill their pockets with Free Spins and huge Cash Prizes. Take part in the St. Patrick’s Prize Draw with qualification running from 25th to 29th January 2017. Every 50 real-money spins played on selected St Paddy’s games are equivalent to one prize draw ticket. Maximize your winning chances by earning up to 50 prize draw tickets per day and up to 250 for the whole promotional period. On 30th January 2017, Mr Green will put all raffle entries into his bowler hat and draw 100 lucky winners for the exclusive trip, Cash Prizes and Free Spins.